Airtel 4G and Reliance Jio are the prominent contenders in the 4G space here in India as of today. Airtel 4G has already rolled out in many cities across India and Reliance Jio is undergoing testing phase with soft launch to a limited set of users testing their network capability for a pan-india launch in coming months. 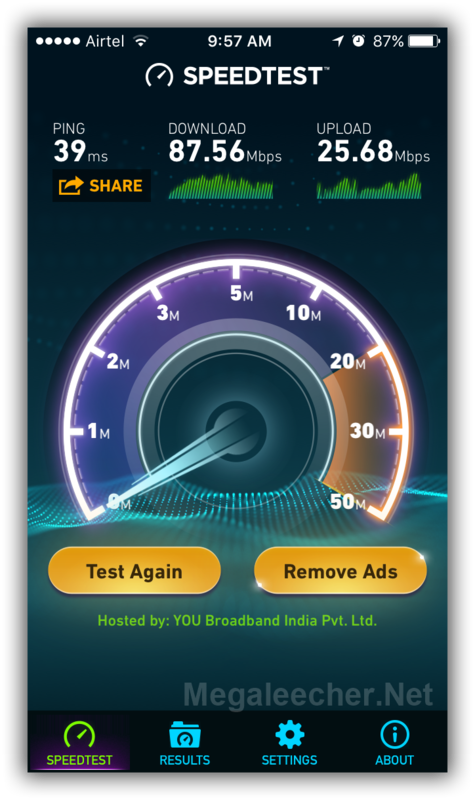 Recently, I had a chance to Speedtest Reliance Jio at The Celebration Mall, Udaipur with almost nobody else to share the bandwidth and here are the results. Mukesh Ambani - once the richest man in the world and the man behind Reliance Industries revealed their company's future plans to roll out 4G data services and low cost tablets by mid-2012 in India, offering blazing fast speeds upto 50 – 100 Mbps (at-least seven times faster than the current 3G speeds in India) Reliance Industries Limited (RIL) plans to launch their 4G services across 700 cities in India by June, 2012, utilizing now RIL owned Infotel's pan-India spectrum license for broadband wireless access.